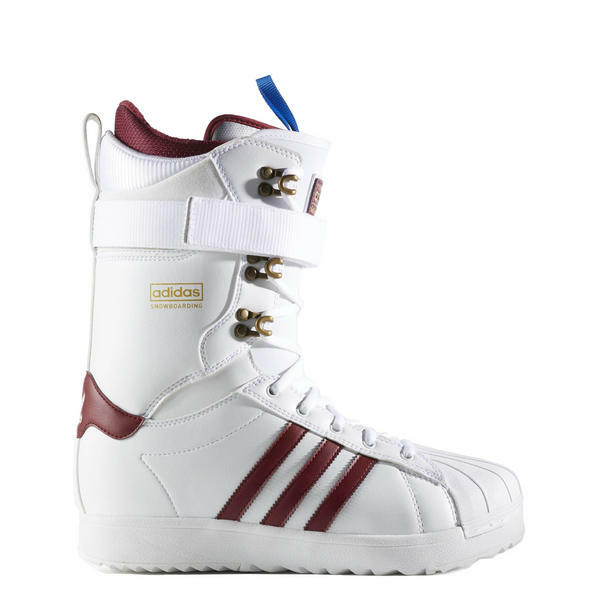 The Adidas Superstar ADV boots is a slightly wider lace up Snowboard boot. The Superstar is inspired by the iconic superstar shoe with shell shaped rubber toe cap. The rubber toe cap is super durable and grippy, so your binding toe cap strap will stay in place without slipping off. 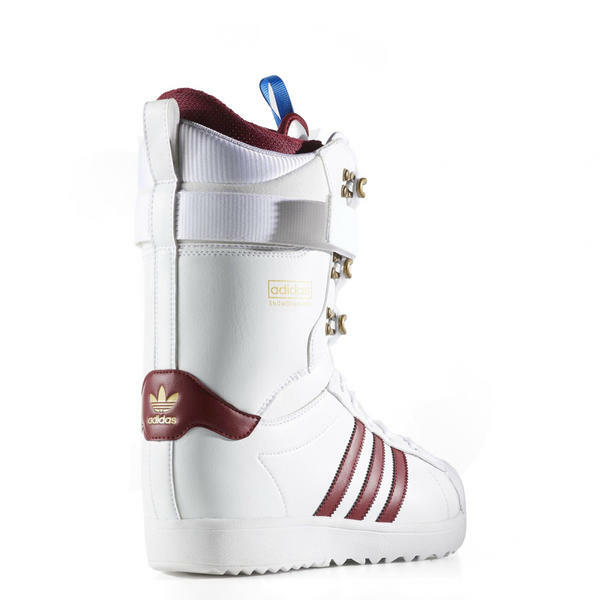 The removable Power Strap allows you to adjust support on the upper section of the boot. 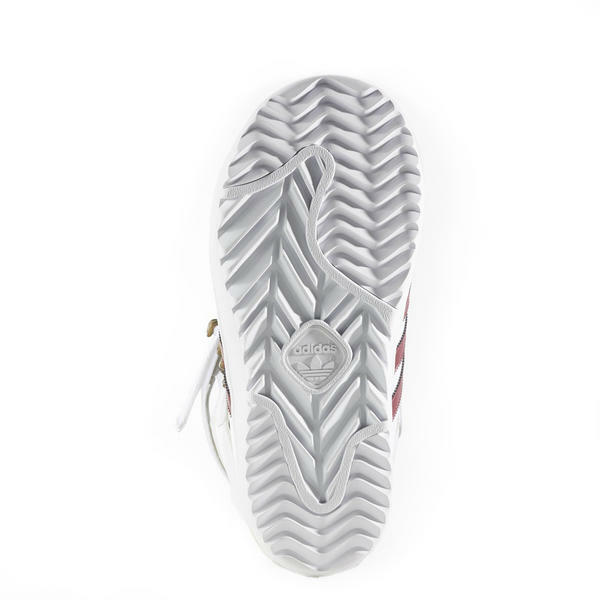 The Silver level, heat-mouldable Ultralon foam liner conforms to the contours of your foot for a comfortable and customised fit. 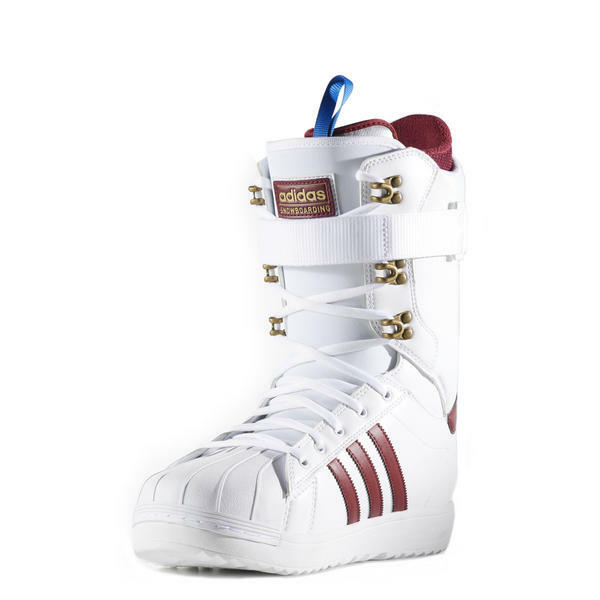 If your feet are wide, the Adidas Superstar is a great option for you as the fit accommodate a slightly wider foot. Sneakers on snow, the Superstar ADV boot steps out and makes a statement. Check out the key features below.